When people ask me what mask I recommend, I will definitely include Faith in Face mask as a recommendation. I have been using it since last year where I bought it from Hermo Malaysia. I'm also a fan of their eye-catching packaging. Pink and black, oh come on. It is so me! 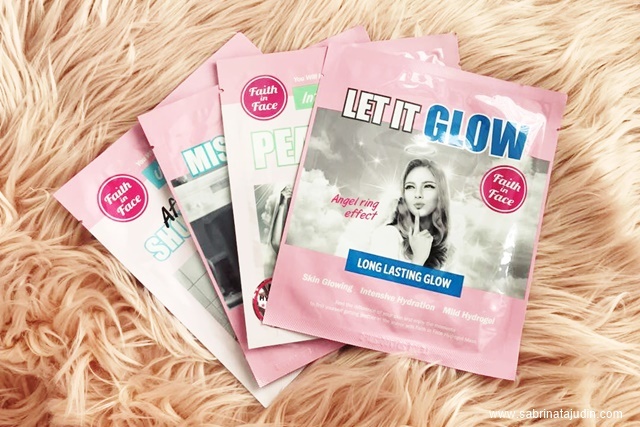 Apart from the mask, Faith in Face also has other products that worth trying. All Faith in Face products is sensitive skin friendly as they only use naturally derived ingredients and it is also free from Paraben, Mineral Oil & animal testing! 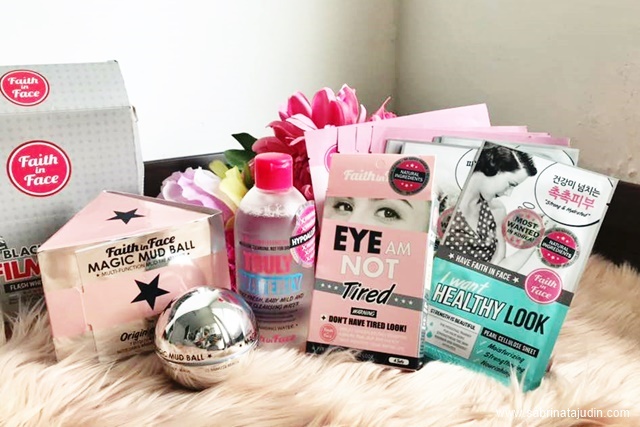 We are confident that you'll love Faith In Face products. 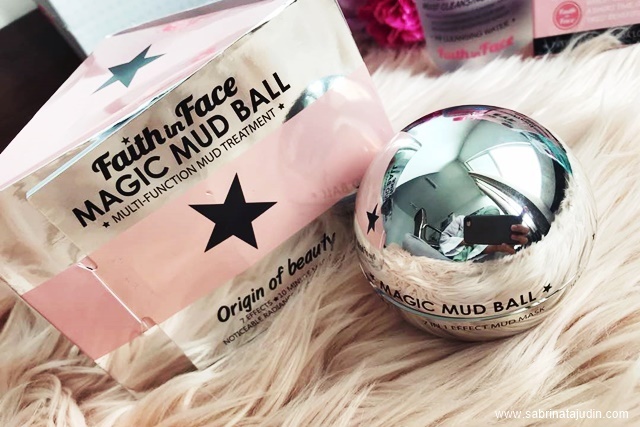 Here are my Top 5 products you must try from Faith in Face Korea. My favorite! 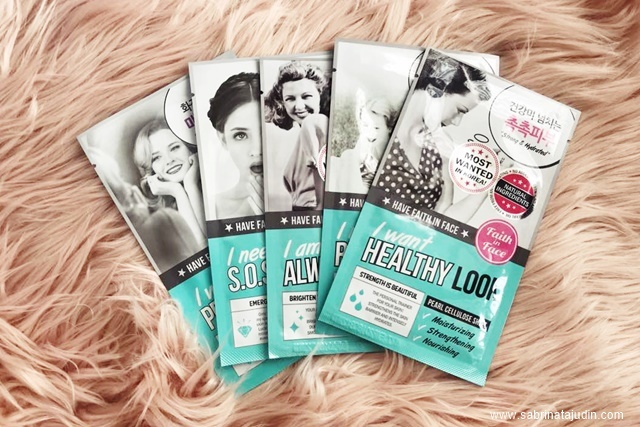 I don't know about you but hydrogel mask is something I gravitate about. I prefer hydrogel mask over sheet cotton mask due to its comfortability when wearing it. It is basically made out of the gel and has a jelly-like texture which I find sits firmly on to my skin and penetrates better on to my skin. It comes in many types of purposes such as Long Lasting Glow, Peace Face, After Shower & Missing Pore. I have tried this before and I love using it while doing my work in front of my computer. It soothes and leaves my eye area fresh and hydrated. 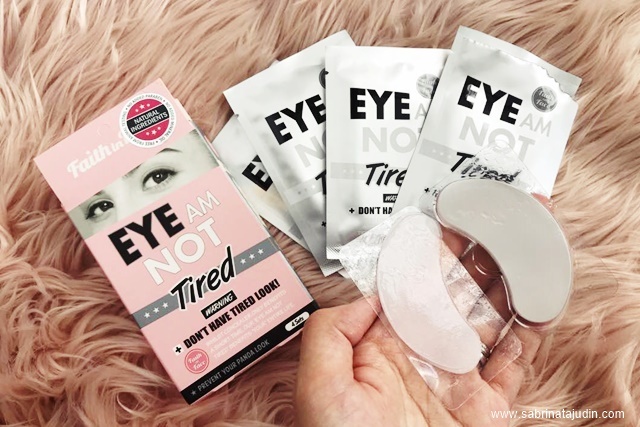 Each box comes with 4 pairs of eye mask. you can even use this on the side of your lips for lip line treatment. The traditional type mask that is in sheet form. Comes in 5 variants to choose from and it is one of the most wanted masks in Korea. What is this cool looking silver ball? It is a face mask. This is a 7 in 1 multi-effect mud treatment mask that extracts & clears dirt and sebum accumulated inside pores, leaving skin fresh & clean! Simply use it like a mask pack for 10 minutes. Water-based makeup remover can be anyone essential. 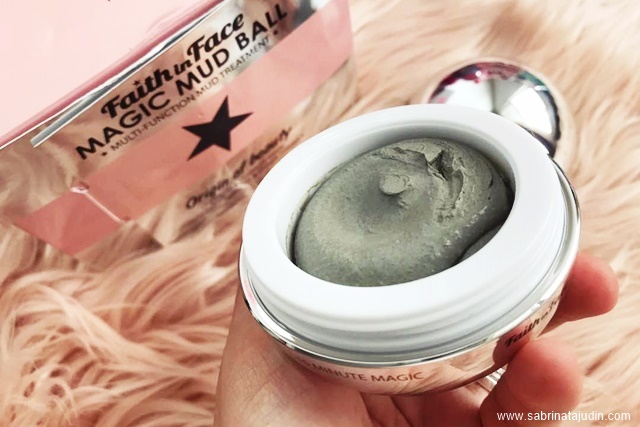 It does not leave a greasy feeling on the face and this one from Faith in Face, it removes makeup effectively. Go to my Instagram post here to find out more. 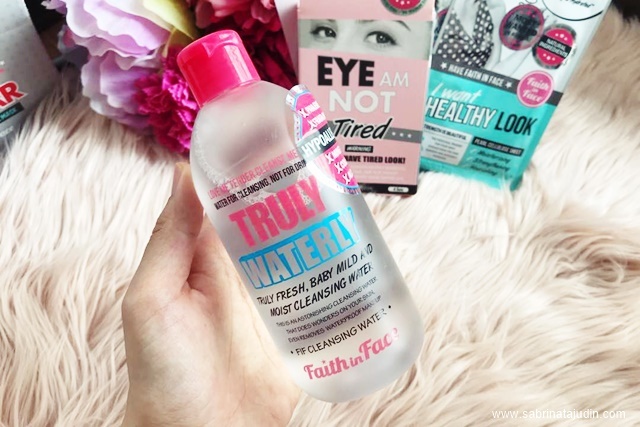 You may win yourself a Faith in Face Hamper worth RM110.00! 3 winners in total! Contest ends 15th December 2017 11:59pm Malaysia Time. Off to go get the eye mask and mud ball!!! I was mumbling the same seeing the featured pic, "What is this cool looking silver ball?" haha... that mask really looks intriguing! 7-in1 sounds mouthful though... how did it worked for your skin dearie ?